If you are interested in obtaining an estimate of potential retirement benefits for a Superannuation retirement click here . Our mission is to provide retirement benefits earned through public service to the members and beneficiaries of the Peabody Contributory Retirement System and to manage those benefits with the highest degree of prudence, integrity and fiscal responsibility, with the goal of achieving self-sufficiency for generations to come. We strive to provide prompt courteous service to our retirees; provide guidance and information to prospective retirees and their beneficiaries; and provide guidance and support to all City Departments, Peabody Housing Authority, and Peabody Municipal Light Plant, in relation to retirement. We serve over 1600 active and retired members. 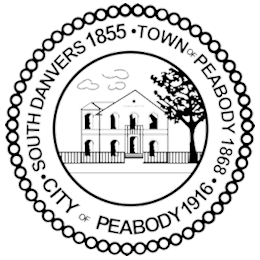 The Peabody Retirement System is administered by a five-member board, consisting of two elected members, one member appointed by Mayor Bettencourt, the Director of Finance who serves as an ex-officio member, and one member who is appointed by the other four members. The board meets monthly on a regular basis. Special meetings are convened as necessary. The office staff consists of two full time employees who are responsible for all active members; all retirees, survivors and beneficiaries; financial transactions, investment activity, member accounts, retirement and pre-retirement counseling, and government reporting. We are governed by Massachusetts General Laws, Chapter 32 with the Public Employees Retirement Administration Commission (PERAC) as its regulatory authority. To assist you in understanding the retirement system, as well as learn about your individual rights, we are providing the following guides*. There are several factors that affect your retirement eligibility including when you first became a member of a Massachusetts contributory retirement system and Group of your position. Each guide has been developed and is maintained by the Public Employee Retirement Administration Commission. The guides are made available to provide members with a general understanding of the retirement system. For specific information pertaining to your unique circumstances, we strongly advise that you contact or visit the retirement board for individual counseling. As you know, public employees in Massachusetts do not participate in Social Security. However, many public employees may be eligible for Social Security benefits based on earning forty (40) quarters of credit or through the work history of a spouse. It is important to know that Social Security benefits are often affected by the receipt of a Peabody retirement allowance. Although your Peabody retirement allowance cannot be reduced as a result of other retirement benefits, Social Security Benefits might be reduced.